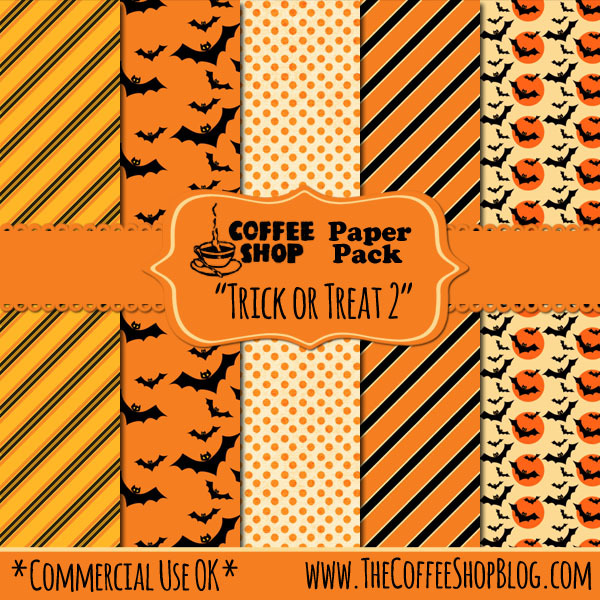 The CoffeeShop Blog: CoffeeShop "Trick or Treat 2" Digital Paper Pack! CoffeeShop "Trick or Treat 2" Digital Paper Pack! I have a new Halloween digital paper pack to share with you today I called "Trick or Treat 2". I am a naming genius, I know… If you missed my last Halloween paper pack, you can find it here. I am running out of time but will post one more set this week. Download the free CoffeeShop Trick or Treat 2 Paper Pack. You can also download it here. Thanks so much for the "treat"! Thank you so much for all the freebies that you share. Once again, Rita, THANKS!!!! I am going to use these with some pumpkin photos I just took. Nice! So excited I found your blog!